I’ll be taking the new Leica 35mm f/1.4 Summilux-M ASPH with me to Yosemite this weekend where I’ll be shooting it for landscape purposes along with some other Leica and Nikon gear (too bad that new Canon 8-15mm is not yet available!). Very compact, an elegant match for the M9. Wide open, very high sharpness and contrast (for f/1.4) along with excellent color saturation over the central 1/2 of the frame, declining gracefully outside that area. I am not a fan of the “tabbed” focusing on Leica M lenses; it’s hard to make fine focus adjustments with the tab. I wish Leica would add a ribbed focusing collar instead, as found on the Zeiss ZM lenses. The lens shade design keeps the lens elegantly compact, but makes using filters a headache. Very noticeable magenta/green color bokeh for out-of-focus areas. Bokeh (blur) is very attractive over most of the frame, but becomes somewhat distracting near the corners. Use of the 1.25X viewfinder magnifier is beneficial for ease of focus accuracy, with the frame lines still visible and usable without difficulty. The 35mm f/1.4 Summilux-M ASPH is a must-have lens for M shooters; it is the most ergonomic focal length for the Leica M9 (viewfinder size), and a well-proven and now improved design. 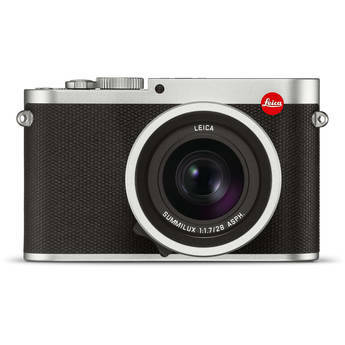 Anyone committed to the Leica M9 should be looking to get the 35/1.4, as well as the Noctilux, the 75/2 APO-Summicron-M and my wide-angle favorite for its low distortion and flat field, the 24mm f/3.8 Elmar-M ASPH. See my handy wish list of Leica M lenses.